Valencia provinsresevideo och information om Valencia provins. Se på vår resevideo om Valencia provins. The province of Valencia is the largest of the three provinces, which make up the Comunitat Valenciana (Valencian Community). Situated in the centre of the Spanish Mediterranean coastline, the province overlooks the wide Gulf of Valencia and is skirted at the back by a mountain range and rolling orange grove-filled plains leading to the lands of Aragon and Castile-La Mancha (Don Quixote country). 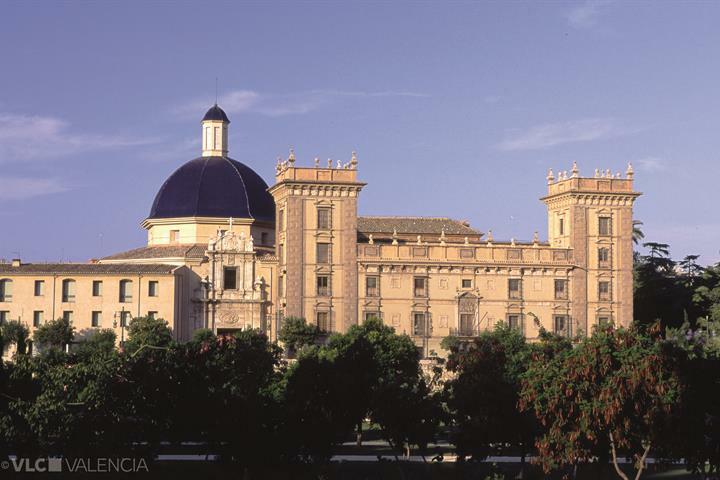 The provinces overlooks the Gulf of Valencia and is skirted at the back by a group of medium-high mountains and rolling plains leading to the lands of Aragon and Castile-La Mancha. Valencia faces the Balearic Islands and is equidistant from the country’s two major epicenters of Madrid and Barcelona. Situated to the south of the capital, separated from the waters of the Mediterranean by a chain of dunes and pine groves lies the lake of La Albufera. The lake was formed in the distant past by the deposit of sediment from the Rivers Turia and Jucar, which hemmed in this small inland fresh water sea. 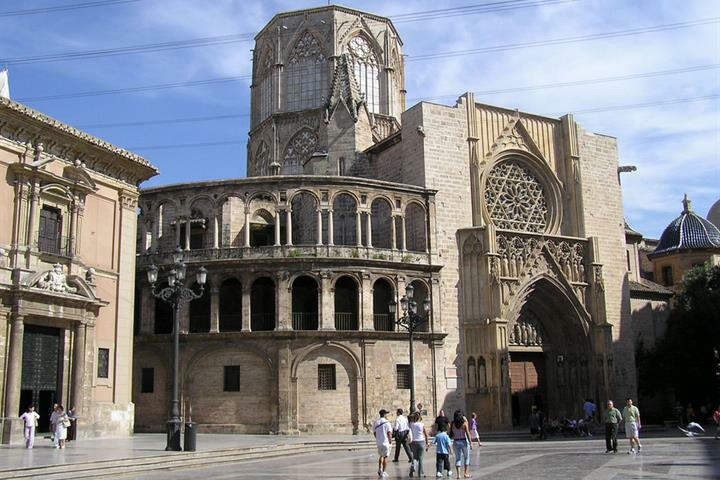 In the fifteenth century, Valencia witnessed its golden age, when political autonomy was granted by the Aragonese king, James I. Trade boomed in the region and became a centre for writers and poets. The Mediterranean ambitions of its rulers and nobles made it into an unquestionable power to be reckoned with. The beaches in Valencia are very high-quality beaches, situated to the north of the port of Valencia; they provide excellent facilities and water sports equipment is also available to hire. For a more exotic beach frequented by the beautiful people try Malvarrosa Beach in Levante. Pineda Beach to the south of Valencia has access for the disabled and basic services for public use. Saler Beach: stretching over six kilometres of sand is close to Valencia’s La Albufera Natural Park. Devesa Beach: although isolated, this beach has a range of services available and is set right in the heart of Valencias La Albufera Natural Park. El Recati Beach in Perellonet, a very long sandy beach in a residential area. The visitor to the region of La Safor finds an attractive area with a history of its own. It nestles in a natural environment, characterised by the high mountains, which form the ranges of Mustalla, Safor, Grossa and Aguilles, blending into a natural circle of pinnacles and woodland, while the plain below is crossed by a welcoming coastal corridor of market gardens and beaches. The region is well known for its ceramics industry and visitors will find a wide range of qualities and sizes, with town of Manises as the undisputed traditional centre of production. Tavernes Blanques is the home of local porcelain production, home to the firm Lladró, which exports all over the world. To earthenware and pottery must be added the craft of vegetable fibre, which is applied to furniture and household decoration. 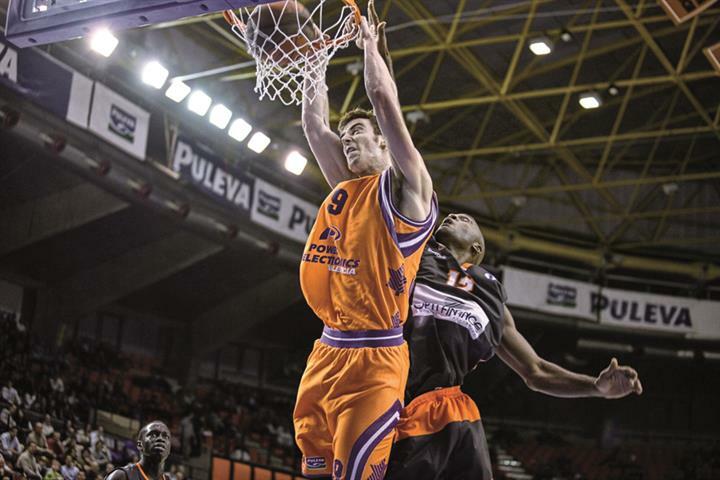 Fine examples can be seen in the towns of Vallada, Montesa, Navarrés and L´Olleria. L´Olleria and Llosa de Ranes craft handmade glassware and woodcraft and a thriving furniture industry can be found at Alboraya, Xirivella and Torrent. In Sagunto the specialty is handicraft in cork. The towns of Aldaida, Alacuas, Godella and Valencia show fine craftsmanship in fan making, going from the simplest designs to the most sophisticated fans available in Spain, made with mother of pearl, all patiently crafted by hand. If you are keen to buy typical local produce, then the wide variety of sausages, confectionery, rice and citrus fruits and all typical local specialities. The visitor should also try the delicious red and white wines with denominations from the province of Valencia. 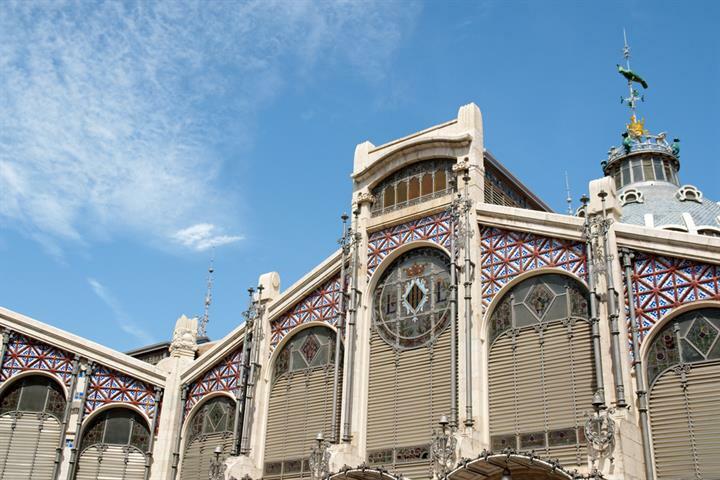 Valencia is famous for its discotheques, where the music plays until dawn. 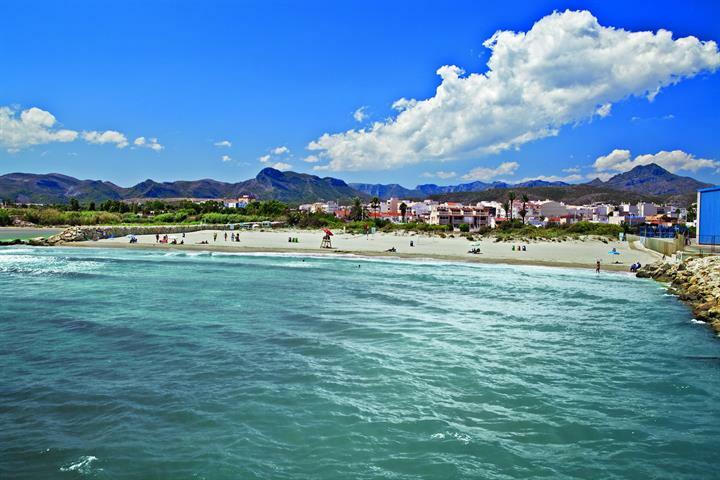 They are situated on the outskirts of the city and on the Valencia - Cullera road, which encompasses numerous residential estates and beaches. Many bars and discos are situated in Calle Juan Llorens. Fridays and Saturdays are the busiest nights. The atmosphere is lively and exciting. Las Fallas is the traditional feast of Saint Joseph, when between the 12th and 19th of March, the people of Valencia take to the streets with towering sculptured statues that have been a year in the making. All day and night crowds of locals and foreigners fill the streets and the sounds of exploding firecrackers and fireworks fill the air. At the end of the week, the huge statues are awarded prizes and then set on fire, which marks the end of Las Fallas and the beginning of spring. The Valencian paella, made with rice, chicken, rabbit and vegetables, is the typical Valencian dish and the most famous dish from Spain. Each village in the province has its own variations and preferences, each using different ingredients, freshand local to the area. The three most popular varieties, normally served in the tourist bars and restaurants are the meat paella (with chicken or rabbit), the seafood paella and the mixed paella, which combines meat and fish. Local fishermen created a dish known as ‘Arroz Banda’, so called because, for the flavours to really come out in the rice, the meat and the fish are cooked separately, the dish is served with garlic and "alioli". 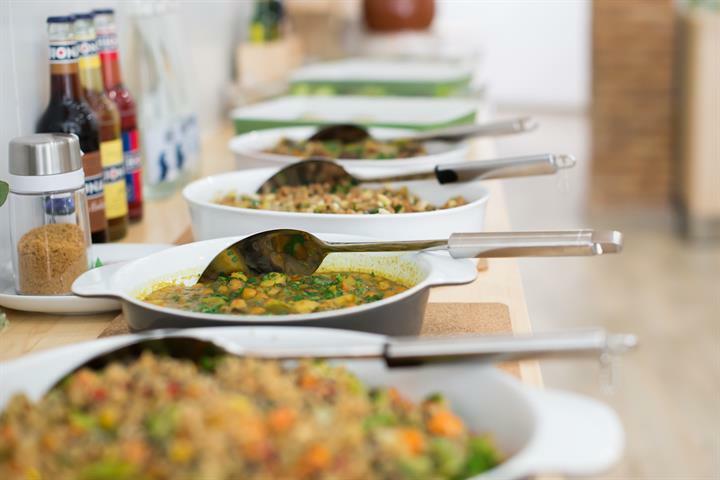 Rice done in the oven in an earthenware dish is also extremely popular among Valencian families, together with rice and beet, cuttlefish, cauliflower and spinach, among other ingredients. 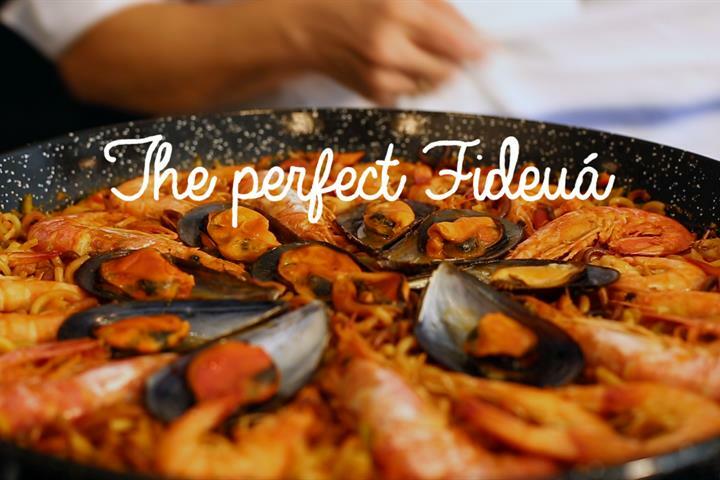 In the region of La Safor, a dish known as Fideau is made, which is similar to seafood paella, except noodles substitute the rice. In Los Serranos the visitor might also like to try what is known as the Olla Churra, made from pieces of pork and black pudding and Gachas, which is a type of porridge. If you are meat lover, then you will love the delicious, yet simple dish of lamb chops cooked over an open fire, or the wide variety of sausage that is typical of Valencia, such as longaniza (long and thin), black pudding, and of course chorizo (spiced pork sausage). As with much of Spanish cooking, many superb dishes, come from traditional home cooking recipes, including the local custom of frying chicken and rabbit and garnishing with with tomato sauce, or the popular Hervido (a dish of green beans cooked with potatoes and served with an oil and vinegar dressing). Valencia is also famous for its sweet pastries and breads: Panquemados (toasted bread), Valencian doughnuts, turnovers, coconut cakes, anisette rolls, almond rosegons, egg-rings for Easter, Epiphany rings, and the list goes on. As for drinks, a special mention must be made of Orgeat (Horchata), a refreshing drink made from earth almonds, which is served as a cool refreshment, almost like a milkshake. Natural orange juice mixed with cava (Catalonian wine similar to champagne), makes a typical drink known as Agua de Valencia. The region’s wine production is notable; the Valencian landscape has over 75,000 hectares of vineyards. The main cellars are to be found in Requena, Utiel, Llíria, Villar del Arzobispo and Tuéjar. Quality cava is also made in Requena. The 112 kilometres of the Valencian coastline offer countless opportunities for leisure and sport. Lovers of nautical sports will find everything they need strategically placed all along the shoreline where, with the exception of Cullera, cliffs are rare. All the most popular activities, including traditional sports, such as Valencian ‘Pelota’ may be practised at the many facilities available. For the golfer there are many courses throughout the province; the magnificent El Saler Golf Course and the Oliva Nova Golf designed by Severiano Ballesteros are two highlights. Other courses include: L Escorpion, in Betera, Manises and El Bosque in Chiva. The choice ranges from hiking, with two major European paths, the GR-7 and the GR-10, touring by bicycle, abseiling in the gullies, canoeing, horseback riding, gliding and paragliding. The province of Valencia has an enviably mild climate, which makes it ideal as an all year round destination, boasting nearly 2,700 hours of sunshine; hot summers and mild winters are interspersed with stormy autumn and spring months. Sök efter den heliga Graalen, gargoyles, vackra spanska torg, gotiska kyrkor och palats som är några av höjdpunkterna i Valencias gamla stad. Har du någonsin hört talas om fideuá? Denna relativt okända maträtt kommer från Valencia. Den är lik paella, men görs med pasta i stället för ris.